This is something I learnt from my Latin teacher, Mr. Ford (I learnt a great deal from this teacher, not just Latin). He would come into the class each day with a very old book of Latin vocabulary and would bombard us with words which we would have to translate into English. This doesn’t sound particularly pedagogical these days, but I still remember some of the words he ‘taught’ us in that way. The vocabulary was arranged in semantic fields, and he repeated the same vocabulary over and over, until we knew it well. He also remembered which words you had failed on the previous day, so he asked you again. I have transferred this technique to my classes in two ways. First, I use the same method when teaching irregular verbs, spending the first five minutes of class asking for the past simple or past participle of different verbs, a little like grammar tennis. More importantly I encourage my students to create their own vocabulary notebooks, small enough to carry around, with the words and phrases organised in semantic fields. Once they have their notebook, they should carry it with them as much as possible, and simply reading it as regularly as possible. In this way they replicate the experience of being in Mr Ford’s class, and they learn the vocabulary in a far more painless way than in the case with which Gareth begins his post. When I first started teaching, I worked with a class of five-year-olds who were just beginning to read in Spanish. So instead of writing the vocabulary on the board, I started to draw pictures for them, filling the board with ilustrations of the vocabulary we were learning. I gave them photocopies of some of the pictures to colour and keep, and we used these to decorate other parts of the classroom. We also made simple card games for Pelmanism, one set each month. Obviously this is a lot of work to build into an ever busier schedule, but luckily the publishers are now far more aware of the need for visual support material and provide generous packs of flashcards with any new method, including flashcards in digital format for those of us who have access to an IWB. 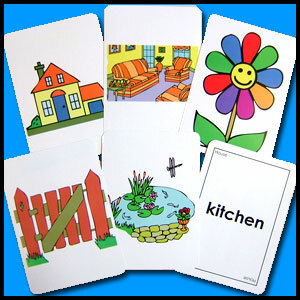 Flashcards are great for playing vocabulary games with young learners, but they can also be used with older students in different ways. For example, keep a set of flashcards for classroom requests and instructions in an envelope on a table at the back of the class, and if a student wants to ask for something but doesn’t remember the word or phrase s/he can go and get the flashcard to scaffold the request. The same can be done if we display these flashcards across the front of the class (above the board if it is a traditional class). This way the teacher can also point to the phrase as a way of provising visual scaffolding. And if the learner has a smartphone, there are several apps which provide flashcards for the phone, both in Android and iOS. These can be used in a similar way to the vocabulary notebook mentioned above. This is something I have used less in class, at least formally, but I have to say they are effective. As an alternative to the raps and chants in the book, particularly with teenage students it can be fun to have them create the raps and share them with the class. And it doesn’t have to be a rap. I have attended workshops run by Spencer Kagan’s team where in one activity we had to fit the instructions to a process into a well-known tune of our choice! This would be fantastic for a CLIL lesson. For many learners, adding a physical action to the learning process can be a great help when it comes to memorising vocabulary, and indeed other things. 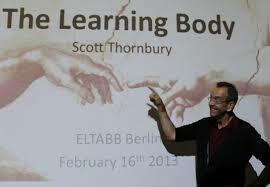 In his plenary talk at the TESOL Spain Convention in Seville last March (and at the TESOL France Colloquium in November) entitled ‘The learning body‘, Scott Thornbury emphasised the importance of the physical element of language learning, and this can be applied particularly well to learning vocabulary. By adding a physical action to the item of vocabulary when it is presented and repeating it when it is used or revised, learning becomes a whole body experience. This can be enhanced where possible by including mime games to revise vocabulary, and even TPR. 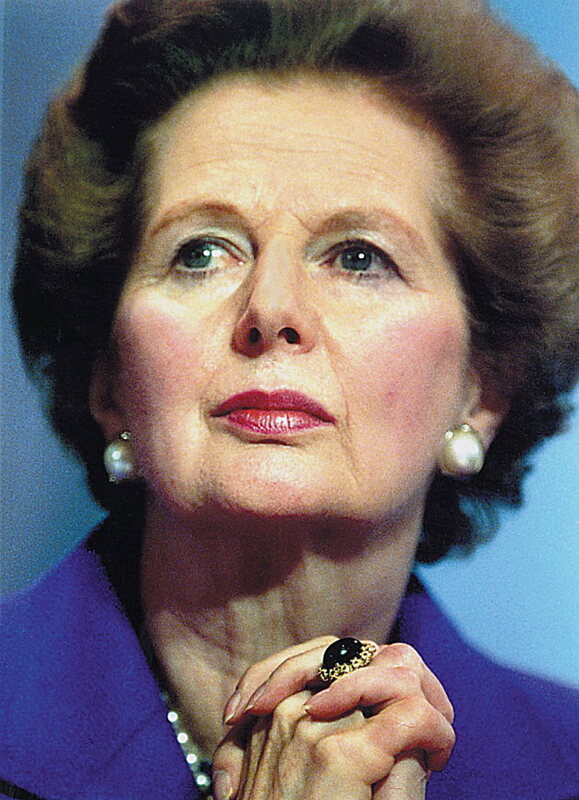 When I was teaching young learners (in my case five-year-olds) I found that they learnt songs far better when they had a series of actions to perform at the same time – indeed the actions structured the memorising of the song, so that they often ran through the actions of a part where they didn’t remember the words before going back and singing it. Actions of this kind also allow the teacher to scaffold in a relatively unobtrusive way, since if the student becomes stuck, it is often enough for the teacher to perform the associated action in order to jog the student’s memory. The potential drawback here is that students often scaffold themselves using the gestures when they are writing their vocabulary test! It’s interesting how a pre-Christian festival from the north of Europe seems to have taken hold worldwide. However, there’s no denying the popularity of Hallowe’en, so here are a few resources which we can use in class this week, promoting skills and vocabulary development while following the Hallowe’en theme. I’ve tried to grade them by age, but different teaching circumstances mean that different activities will be useful for different students. If you’re unsure of any details about the history of Hallowe’en, this infographic will provide you with plenty of information about how the festival has evolved over the centuries. The objective of this festival for very young learners is to avoid scaring them while giving them the opportunity to learn a new song or to make something in arts and crafts which will link them to the idea of Hallowe’en. 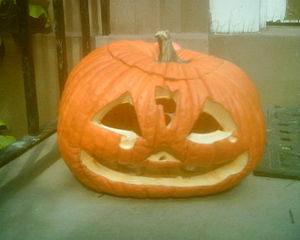 One of the things we do with our youngest students is pumpkin carving. The teacher wields the knife, but the students get a chance to help empty the seeds and design the scary face to cut out. The Jack o’ Lantern created is then used to decorate the class on the 31st October. In parallel with this, the children can prepare Jack o’ Lantern masks to wear on the day. You can find other ideas for Hallowe’en masks here. 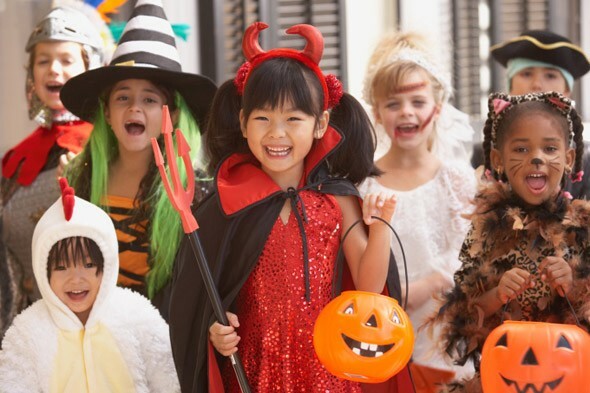 Another fun activity for younger learners is to go Trick or treating around the school. This takes a bit of organising, but the kids love it. Have each class group prepare a Hallowe’en song before the day of the festival, then organise a rota so that each class can visit another class of the same age. The visiting class sings their song to the others, and then each student receives a gift (traditionally sweets, but check your school’s policy on this type of treat beforehand). This is particularly good fun if the students can come to school dressed up for the day! If they can’t come in dressed up, it would be nice for them to have masks prepared in class. If the teacher has prepared a Jack o’ Lantern for the class, they can carry that with them when they visit the other classes. For older primary students, articulated Hallowe’en decorations can be great fun. You can find a number of diferent copiable designs here. This can be combined with the CLIL science class if you choose to make articulated skeletons. These can be combined with Jack o’ Lanterns, and spiders webs made from teased cotton wool to create a really spooky atmosphere for the classroom. On the British Council Learning English website, there are several games for Hallowe’en. For example, here is a version of ‘I Spy‘ for Hallowe’en, useful for practising vocabulary. There is also a spelling game, ‘Spelloween‘ which promises to be a lot of fun. Another idea would be to try out traditional children’s party games, such as Apple bobbing, where you try to get an apple out of a bowl of water using your mouth. If this is considered too risky, you can make the activity safer but even messier by placing the apples in a tray of flour! 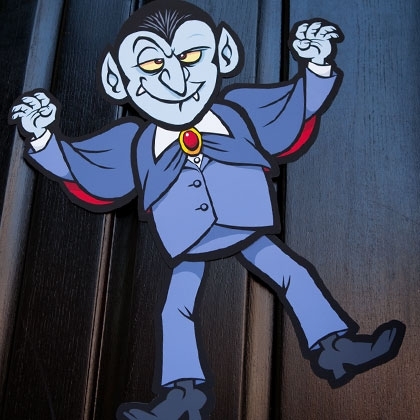 Other traditional games can be adapted to a Hallowe’en theme – for example, ‘Pin the tail on the donkey’ can easily become ‘Pin the tail on the witch’s cat’. In secondary, we seem to pay less attention to festivals in general, but there are still some useful activities which we can do with our students. One possibility, if they have an intermediate level or above, is to challenge your students to write a ghost story. You can give them the first line, perhaps ‘It was a dark and stormy night…’ and have them complete the story, either individually or in pairs. it would be a good idea to brainstorm typical vocabulary from ghost stories first, and possibly talk about the usual structure of this type of story. Alternatively, you could take the first paragraph of a ghost story and turn it into a jigsaw dictation (there are many ghost stories available as graded readers, so this should not be too hard to organise). Once they have reconstructed the opening paragraph, you can have the students write how they think the story continues. Mission Impossible! also lends itself very well to creating Hallowe’en stories, and the Zombie round is particularly apt! The art work which accompanies the listening text is fantastic. Finally, here’s a full lesson plan from the British Council’s Learning English website, based on the story ‘The King of Pumpkins‘. I hope you enjoy these resources, and feel free to add more which you have used and enjoyed. Here’s a way of motivating particularly teenage students and young adults to study phrasal verbs a little more, using two websites. As always, many thanks to Nik Peachey for sharing this activity. Here’s a useful list of idiomatic expressions in English using items of clothing. Another great set of lesson ideas based on news stories from Sean Banville. It should be a motivating experience, indeed you may even have conceived the activity as a prize, or an end of term treat, but too often the use of video in the classroom has the opposite effect. In this post we will look at some different ways to incorporate video in the classroom, in a fun and, hopefully, motivating way. 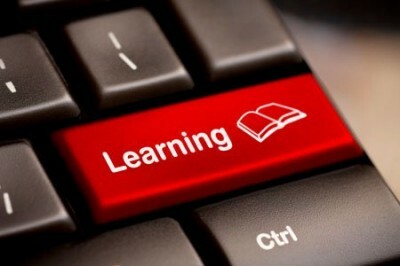 The first consideration when using video in class is what you want to achieve with the video. It can be very easy simply to put on a film for your students to watch and expect them to be motivated by it, but unless the students have a very high level of English, they will have difficulty following the dialogue, and so will become easily lost and unable to enjoy the film as entertainment. For this reason, always have a concrete activity to do while watching, which will give your students something to focus on during the film, and allow you to measure their success at the end of the session. A second thing to bear in mind is the level of concentration necessary to do the activity on the part of your students, which is far more than a native speaker would need to watch the same clip. Because of this, I would suggest keeping the video itself short. If you want to watch a longer video, break it down into more manageable chunks, with a different activity for each part, checking comprehension before moving on to the next part. It can also be useful to watch the same part more than once, just as we would with a listening comprehension exercise, with a listening / watching for gist exercise the first time to lead the students into the scene, then a more detailed exercise the second time round. Any video activity needs a lead-in before you put on the video itself. This can be an exercise to pre-teach new vocabulary, or an introduction to the topic. One possible lead-in is a technique known as ‘vision off’, where the students attempt to predict things about what they are going to see by listening to the sound of the beginning of the video without the pictures. They can be asked to predict where the action is taking place, how many people are in the scene, or for higher level groups, the relationship between the characters or their attitudes. Play the video twice, then allow the students to compare their answers in pairs before sharing with the class. Then play the video with the pictures to allow the students to ‘check’ their own ideas. Another possible lead-in is the pre-teaching of key vocabulary, as in the activity ‘Pigeon Impossible’, which you can read about here. 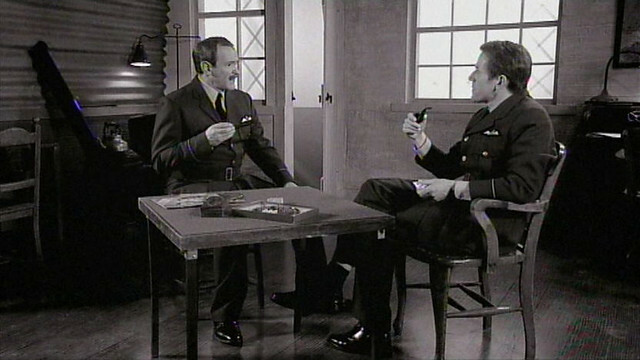 In this case, key vocabulary is taken from the film and presented to the class. The students are asked to write a story in pairs which contains all of the vocabulary given. Higher level groups could be asked to present their story orally. The video is then played and the students compare their stories to the story in the film. For many types of activities, including the ‘Pigeon Impossible’ activity mentioned above, it is not necessary for the video to have intelligible dialogue. Indeed, there are activities which require a video without words. A useful speaking activity, which I learnt from Tom Spain, is to seat the students face-to-face, one half looking at the screen, the others with their backs to it. When you play the video, those watching describe the action to their partners. After about a minute, pause the video and ask the students who were listening to the description to describe what happened. Then change over, and play another minute or so of video. This activity can be followed by a prediction exercise, where the students work in groups to decide what happens next and report to the class before watching the rest of the film. Another way to exploit film without sound is to get the students to dub the video, preparing the dialogues themselves and trying to sync their words as much as possible to the faces on screen. This can be done using a film which does have dialogue but with the sound turned down. This way, once the students have performed their versions, the real dialogue can be played. I have done this exercise using Armstrong and Miller’s RAF pilot sketches, where wartime fighter pilots speak like modern teenagers. In this way, I guarantee a surprise for the students when they listen to the authentic version, although it is only for higher level groups. Obviously a video activity lends itself particularly well to listening comprehension exercises. However, as I pointed out above, it is important to bear in mind the difficulty of listening to authentic language, even with visual support. One way of getting round this is to get students to listen for specific things in the video. 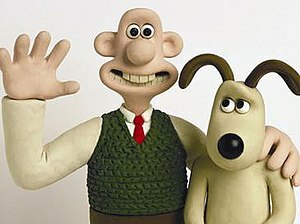 Choose a film which has plenty of visual humour, such as one of the Wallace and Gromit films, and pre-teach items of vocabulary or set expressions which appear frequently in the dialogue. 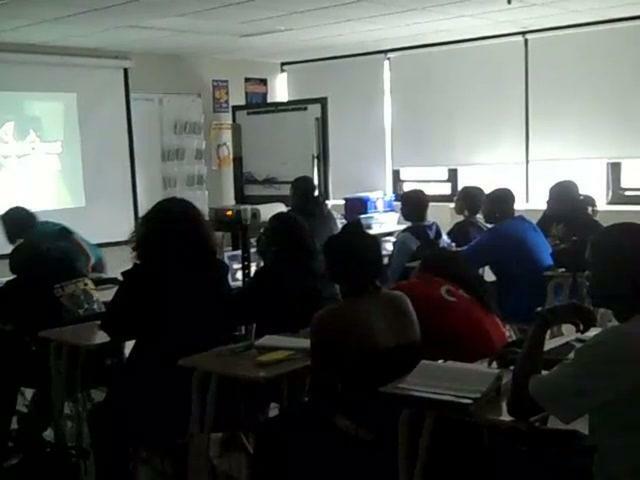 As the students watch the film, they are instructed to stand when they hear the pre-taught words and expressions. Different students can be responsible for different items of vocabulary, which allows them to focus on fewer words and phrases. If the students are reluctant to stand up, have them hold up cards with the correct item of vocabulary on it when they hear the word. It is useful to repeat this exercise after a few days to revise the vocabulary. Once again, the period of concentration required from the students should not be too long. If the film lasts more or less the whole class, take two or three breaks at least to discuss what is happening and possibly to find out if the students can remember any words which were said with the items of vocabulary they were listening for – in this way they start to build an idea of how the words collocate in natural language. A video can be a useful way of introducing a topic for a class discussion or for presenting a point of view. The BBC news website is a great source for short video news reports which present topics for debate. Ideally, the class would begin with one or more of the activities described above, moving on to a class discussion on the topic presented. I had a very interesting discussion in class based on a news report about a woman who had asked to have her disabled arm amputated and replaced by a ‘bionic’ one. This video was followed by another showing a person using one of the new generation of bionic arms to do things like tie his shoe laces, or open a bottle and pour a drink. I’m afraid I couldn’t resist starting the class with the intro to ‘The Six Million Dollar Man’, before showing the video news report itself – this led to a useful initial discussion about how science fiction has become fact in some cases. A good example of a lesson plan for this type of activity can be found here, on Jamie Keddie’s website.